My Appointment | Divaz Day Spa | Book appointments online hassle free. "I believe in manicures… I believe happy girls are the prettiest girls," said Audrey Hepburn. A perfectly polished nail makes us feel instantly more chic, pulled together and confident. For the times when a girl needs a glam squad, you can find yours at Divaz Spa and Salob where therapists will nail a manicure and pedicure while you're having your hair done. A bubbling footbath and nail decals are highlights of the Divaz Kids spa packages for girls (ages 4+), while tweens and teens can try a 30-minute massage. 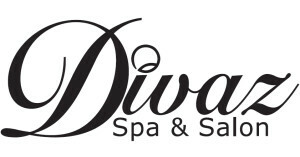 Divaz Day Spa is a family friendly spa that caters for family treatments( parent and child, siblings, friends) and a separate kids free zone for adults. Both these zones are separated totally from each other to allow both individual as well as family treatments in total privacy. Divaz Hair Salon is a destination of choice for those seeking exceptional quality in service for their hair care and styling needs. Our experienced, professional stylists regularly attend training to ensure they provide the highest quality service to our clients.